Flexible perfect bound cover with bungee closure. One day per page of lined planning space with current, past and six future month reference calendar at the bottom. Hot-Spot reminder section on each page. Special pages include: three-year reference calendar, index sheet, future planning and contact pages. Flexible perfect bound cover with bungee closure. One day per page of lined planning space with current, past and six future month reference calendar at the bottom. Hot-Spot reminder section on each page. 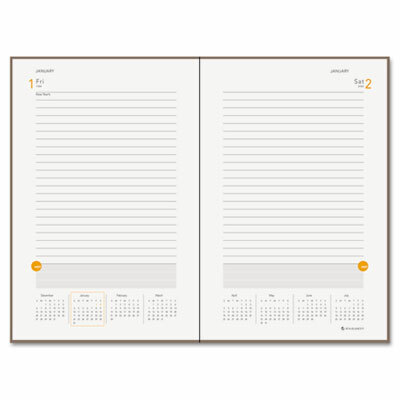 Special pages include: three-year reference calendar, index sheet, future planning and contact pages.